Perfect for those hot Texas days drinking beverages on the patio or garage. 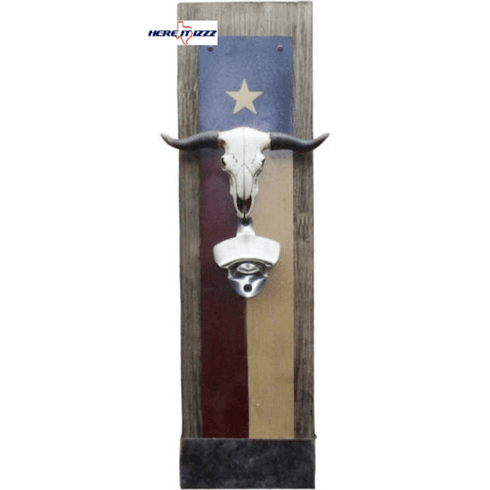 With the barn wood , Texas Flag, and steer skull combined with working metal bottle opener it's sure to please guests. This is the Texas Flag Rustic Beer Bottle Opener, Bottle Cap Catcher. Wall mounted beer opener ready to hang on the wall of your choice.